I hope that sharing this list will give you another insight into the world Susan, Today’s Working Woman! Now, how about you? What’s in and out in your life? 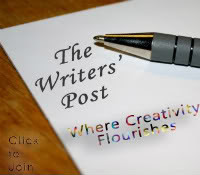 This post is written for The Writer’s Post Blog Hop# 28: Out with the Old and In with the New. Interested in learning more, please check out the link below!